NASA's New Horizons spacecraft has eased into a long summer's nap, entering a hibernation phase on April 7 that will last until early September. 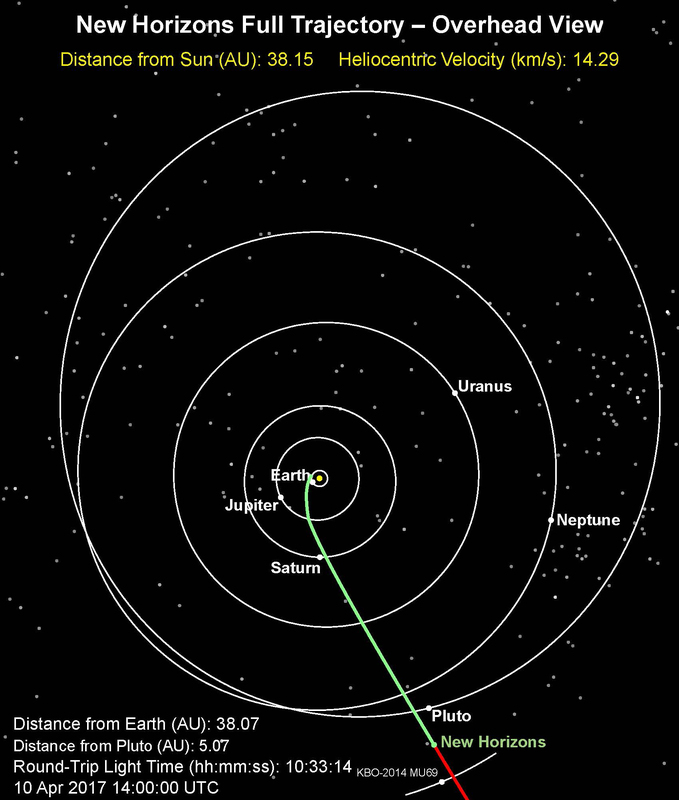 Mission controllers at the Johns Hopkins University Applied Physics Laboratory (APL) in Laurel, Maryland, verified that New Horizons – acting on commands uplinked to its main computer the week before – entered hibernation at 3:32 p.m. EDT. With the spacecraft now about 3.5 billion miles (5.7 billion kilometers) from Earth, the radio signals carrying that word from New Horizons needed just over five hours – traveling at the speed of light – to reach the APL mission operations center through NASA's Deep Space Network. Before today, New Horizons had been "awake" for almost two and a half years, since Dec. 6, 2014, when the team began final preparations for Pluto approach and encounter operations. The 852 days since the end of its last hibernation period is the longest – by far – New Horizons has remained in active operations since it was launched in January 2006. But that's because New Horizons was in the throes of its prime mission: conducting a six-month flyby of the Pluto system that culminated with close approach on July 14, 2015; that was followed by 16 months transmitting the data from that flight back to Earth. The spacecraft then began an extended mission in the Kuiper Belt, making distant observations of several Kuiper Belt objects – setting up for a close flyby on Jan. 1, 2019, of one particular object known as 2014 MU69 – and sampling the space environment in the outer reaches of the solar system. "We're looking forward taking advantage of the reduced mission operations workload during this hibernation, as well as one early next year, to plan much of the MU69 flyby," said Alice Bowman, New Horizons mission operations manager, from APL. This hibernation period will last 157 days – ending on Sept. 11 – but mission activity won't necessarily stop. The science and mission operations teams will be developing detailed command loads for the MU69 encounter, shaping the science observations for much of nine-day flyby. Their plans currently accommodate two potential flyby altitudes; the team will narrow its choice to the final altitude as it learns more about the properties and orbit of MU69, which was discovered less than three years ago.